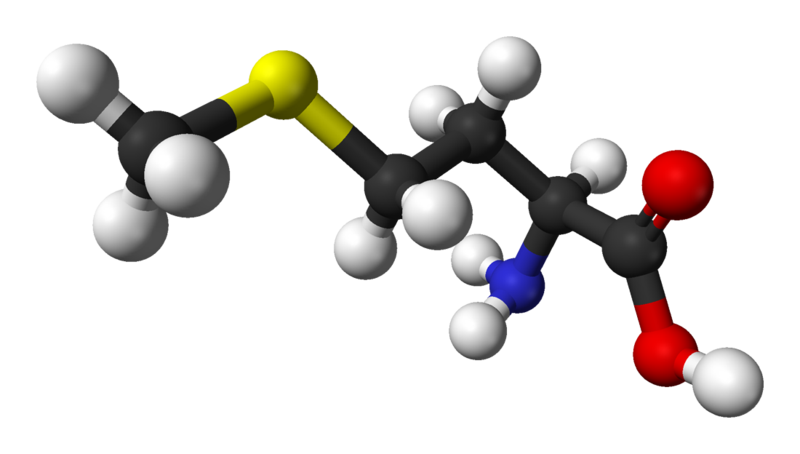 Methionine (Met or M) is an amino acid present in proteins. Like all of the amino acids, methionine has two functional groups, an amine group (NH2) and a carboxyl group (COOH). It has a relatively long side chain: CH2-CH2-S-CH3. and is a non-polar amino acid. Methionine is an essential amino acid which is obtained from the diet (seeds, meat, fish).